I’ve traveled to Cali, which is known as a “City of Eternal Summer” in Colombia, several times over the past seven years. With its low cost of living, a comfortable summer-like climate, undervalued real estate, many things to do nearby, and dependable infrastructure available including high-speed internet, it’s surprising more foreigners haven’t discovered Cali. But this could be about to change, as tourist figures have reportedly been growing at double digit rates in the city. 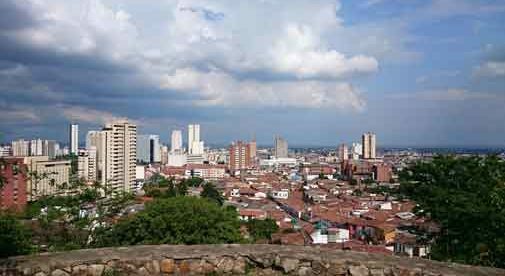 Cali is Colombia’s third largest city with a metro population of over 3.4 million. So there is plenty of shopping with several modern shopping malls, good restaurants, and many things to do. Most notable is that great healthcare is available in Cali with the highest rated hospital in all of Colombia—Fundación Valle Del Lili Hospital—which is also the third highest rated hospital in all of Latin America. In addition to being known as a City of Eternal Summer (annual average temperature is a comfortable 75 F), Cali is also known as the Salsa Capital of Colombia. Many people claim that it also has the best nightlife out of the cities in Colombia. This may be true as the city has so many bars, discos and clubs. And all types of music can be found in the city, ranging from rock to jazz and salsa to Raggaeton. Cali has a strategic location near Colombia’s Pacific coast. It’s only about two hours by road to the beach and it’s only three hours by road from the Coffee Triangle. The currency is the Colombian peso, which has been weak over the past couple of years, making real estate prices much cheaper in terms of U.S. dollars. There is a generous inventory of quality properties available with a well-organized real estate market. Construction standards tend to be high—but prices are much lower than you’ll find in several other cities in Colombia, and most markets in Latin America. Low real estate prices contribute to the low cost of living in Cali—which is amazing value considering the quality of life in the city. A couple could live in Cali for about $900 to $1,300 per month if they owned their own home. There are apartments available in Cali to suit every budget. If you’re looking to rent, you can find nice two- or three-bedroom unfurnished apartments in the nicer neighborhoods in the city for about $350 to $550 per month. I recommend neighborhoods in two areas of the city: In the west Normandia, El Peñon, Santa Teresita, Santa Rita, Arboledas, and Bellavista. In the north, Santa Monica is where you’ll find Chipichape, one of the largest malls in the city, and Granada, which is a popular gastronomic neighborhood. For those looking to buy, a five-year old, unfurnished apartment is a good example of what’s on offer. It’s a three-bedroom, two-bathroom unit of about 970 square feet in Normandia with two garage parking spots and a great view from the 10th floor balcony and it’s priced at only $109,739. For those looking to spend more, $337,671 will get you luxury in Cali. Like a sizeable three-bedroom, four-bathroom, 3,950-square-foot penthouse apartment in Normandia, with a large balcony and an incredible city view, an open kitchen, tall ceilings, marble floors, anti-noise windows, a Jacuzzi on the balcony, and a huge master closet are just some of the features. The building features a pool, fitness area and a doorman.